Let’s face it. Dents happen. It helps to know what the best options are to spruce up your car and get rid of those dents. Paintless dent repair from your Reno auto body shop can save you a lot of money when you are fixing up your car. Does your vehicle fit the requirements for paintless dent repair? There are a few factors that help auto repair shops decide if paintless dent repair is the best option for repairing the dents on your car. As long as the paint surface is intact, paintless dent repair is a cost effective option for your vehicles in Reno. If there is any paint missing with the dent, you will need to address the damage quickly to prevent any further damage to the exposed metal. 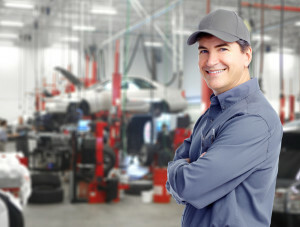 An auto repair shop has to assess how much the metal has stretched, and the thickness and curvature are also factors. Paintless dent repair is also dependent upon the state of the metal and the malleability of the paint. If your car is a newer model, the paint is more likely to cooperate with a paintless dent repair. Paintless dent repair is a Reno vehicle owner’s best option for multiple reasons. Paintless dent repair is quick and affordable, since the technique requires less materials and man hours at the auto repair shop. The efficient process of paintless dent removal also helps you get your car back and on the road where you need it! If you find yourself to be someone who makes more than a few dents and dings on your vehicle, it may be worth the investment to get yourself a toolkit and learn how to perform paintless dent removal on your own car. Most dents are repairable with paintless dent removal. Paintless dent removal requires special tools, and a proper tool kit may cost as much as the repair itself. If you intend to do multiple repairs on your own, then this is a worthy investment. If you are just fixing a single dent or rarely make dents in your vehicles, then it is cheaper for you to have a Reno auto repair shop take care of your paintless dent removal. If you intend to perform your own paintless dent repairs regularly, also consider taking a course in proper paintless dent repair techniques. Our team at Liberty Collision has seen some DIY paintless dent removal procedures gone awry, and we know from experience that it takes more than an online tutorial to fix the dents in a vehicle. Visit Liberty Collision for your paintless repair needs today! Liberty Collision offers paintless dent repair, also known as PDR, for the Reno area. Donnie Thiessens of Liberty Collision has been a resident of Reno for over 50 years. With over 25 years experience in collision repair and restoration, the team at Liberty Collision can make your vehicle shine like new. From paintless dent removal to towing and glass repair, Liberty Collision works on any make or model of vehicle in Reno. At Liberty Collision, we care about the cars and the people who drive them. Contact us today so we can help you with your auto repair needs!